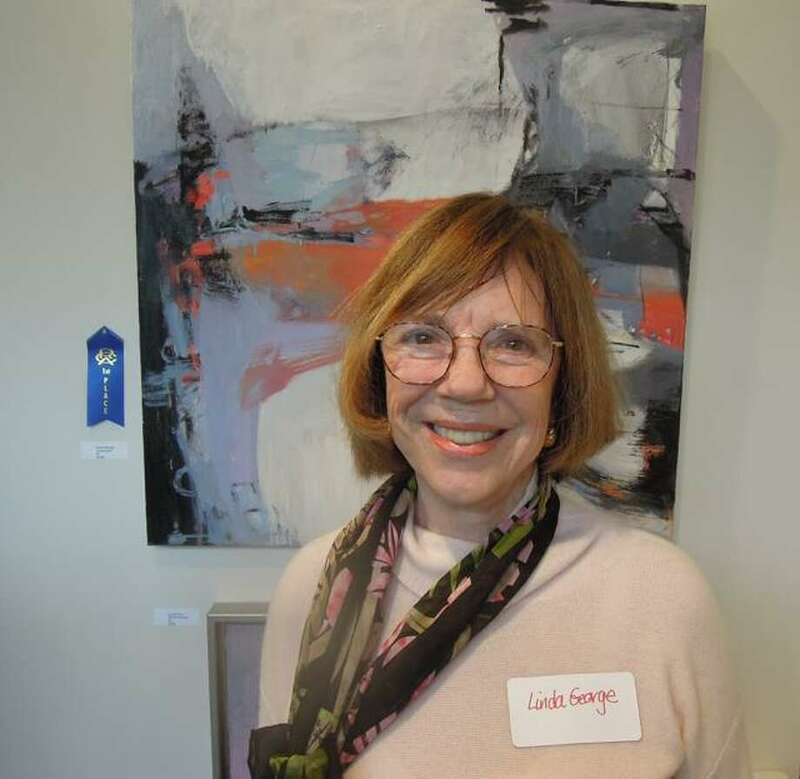 Linda George, of Darien, took home first place in the oils category for her work seen here at the Abstraction Exhibition at the Rowayton Arts Center. Anne Sullivan, of Darien, is traveling this spring on a Union College term abroad. Sullivan, a member of the Class of 2019 majoring in English, is traveling to London to study a variety of topics including global marketing, government, childhood development and more. The Williston Northampton School announces that Ethan Dursht, of Darien, a grade 11 student, made the Honor Roll for the second trimester of the 2017-18 academic year. Sean Pica, executive director of the Hudson Link for Higher Education in Prison, will talk about how he partners with area colleges to provide degree programs in New York state prisons on Wednesday, April 18 at the Darien Men’s Association. Hudson Link graduates will share their experiences. Participating colleges include Mercy, Vassar, Columbia and Nyack. Pica’s talk starts at 10:45 a.m. Guest passes are available at the membership desk just outside the meeting room. DMA meetings take place at the Darien Community Association, 274 Middlesex Road. For information, text, phone or email Ray Meurer at 203-856-4155, raymeurer9@gmail.com. Darien’s Heather Raker is spearheading efforts to raise funds for the Mather Homestead to restore the historic home’s colonial gardens. The Mather Homestead (MatherHomestead.org) was built in 1778 and owned by the Mather family through seven generations until 2017, when it was donated to the Mather Homestead Foundation, thanks to the generosity of the McPherson family. The home is rich in history and open for public enjoyment and education. Stephen Mather, great-grandson of Deacon Joseph Mather, was an environmentalist and the founder and first director of the National Parks Service. The original garden, which was designed by Stephen Mather, included both native plants and specimens from his work across the United States with the National Park Service. Last fall, Mather Homestead volunteers and board members cleaned up the gardens, and they’re now ready for the restoration phase of the organization’s plan. For information on the Mather Homestead’s garden restoration project or to donate, visit: https://theimpactvine.org/project/help-us-restore-gardens-mather-homestead. Darien resident Charles A. Deluca, of Ryan Ryan Deluca LLP in Stamford, was recently inducted into the International Academy of Trial Lawyers at its annual meeting March 21-25. The International Academy of Trial Lawyers limits membership to 500 fellows from the United States. The academy seeks out, identifies, acknowledges and honors those who have achieved a career of excellence through demonstrated skill and ability in jury trials, trials before the court and appellate practice. The award winners of the Abstraction Exhibition were announced at a reception April 8 at the Rowayton Arts Center. Robert Sachs (Norwalk) won Best in Show for his photo, “Ice Skating Rockefeller Center #1.” Bevi Bullwinkel (Fairfield) won first place, Mixed Media, and the Hu Lindsay Memorial Award for her painting, “Dancing.” The Hu Lindsay Memorial Award was presented by Lindsay’s widow, Marcia Powell, and grandson, Cooper Lindsay, both of Norwalk. Lindsay, longtime resident of Norwalk, was an artist and past RAC board president. The exhibition is on view until Saturday, April 28. Chairwomen of the exhibition are Heide Follin and Melissa Orme. The judge, Cabell Molina, is an artist and owner of SONO’s Love Art Gallery. The Rowayton Arts Center is a gallery where regional artists may exhibit and sell their work as a venue for art classes and workshops for all levels for both children and adults. The RAC Art School and Gallery are at 145 Rowayton Ave., Norwalk. Gallery hours are Tuesday through Saturday, 11 a.m. to 5 p.m. For information, go to rowaytonarts.org.